Test your knowledge! If you know the answers to questions like, which president had the most pets in the White House or which two actors won back to back Oscars then head to Barlow’s on Monday at 6pm for their Trivia Night! 1st and 2nd place win prizes! A perfect excuse to keep the weekend going right? Be informed. Get involved.A special community meeting will be held on Thursday, August 9th at 6pm to discuss traffic safety in Southie. Come speak with Public Safety and Transportation Officials as well as the elected officials about traffic safety improvements in South Boston. The meeting will be held at the Tynan Elementary School, 650 E 4th St. Last week a call to action was issued by South Boston Families for Safe Streets and Sidewalks after the death of a toddler at the intersection of L and Sixth last week. National Night Out! Boston Police Department is hosting its Annual Night Out on Tuesday, August 7th from 5pm-8pm at Moakley Park. Enjoy food, fun, kids activities and more! This event is FREE! Barre by the ocean! Join C2 Body at the Boston Harbor Yacht Club on Thursday, August 9th at 6pm. Enjoy a 45 minutes class followed by drinks and snacks post workout! Register for class on their website! Bring the kids! 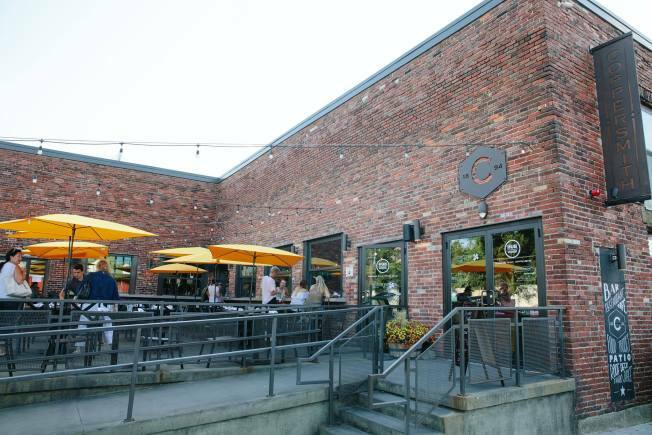 Coppersmith offers free meals for kids on the weekends! Kids eat free on Saturday brunch and Sunday all day! Perfect excuse to head out for brunch and treat yourself to the DIY Bloody Mary Bar or a wagon filled with mimosas! Sip, shop, save! On Thursday, August 9th from 6pm-8:30pm participate in the Summer Sidewalk Sale! Shop local at Habit, Covet, Wears + Wares, Pretty Reckless, Nurture, Best Dressed, Deirfiur, Neatly Nested, The Beauty Bar, Go Garbaj, Sale de Cheveux, Bringing Up Baby, Ku De Ta, Dew Luxe! Donate! A special fund has been started in memory of Colin McGrath, the little boy who died tragically after an accident at L and 6th in Southie last week. This fund will help support South Boston Catholic Academy where Colin would have attended preschool in September. Colin’s sister also a student at SBCA. You can make a donation here! The post Week of August 6th appeared first on Caught In Southie.